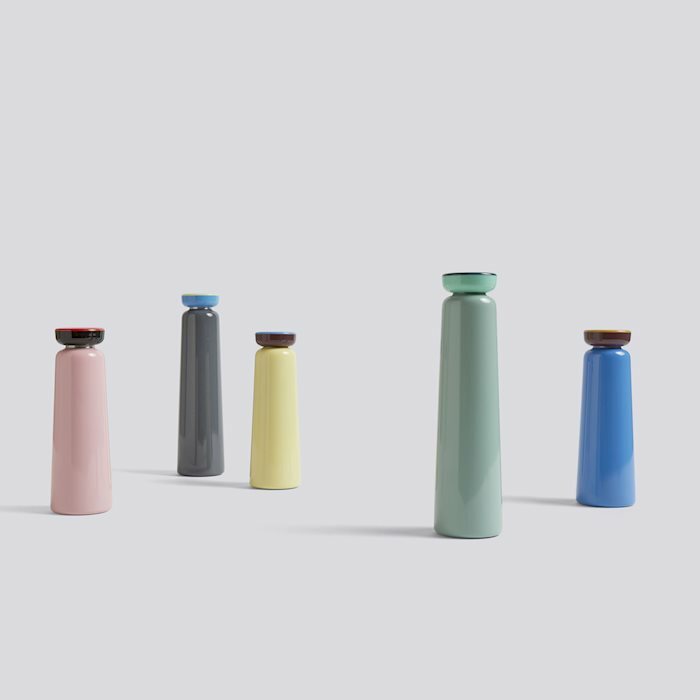 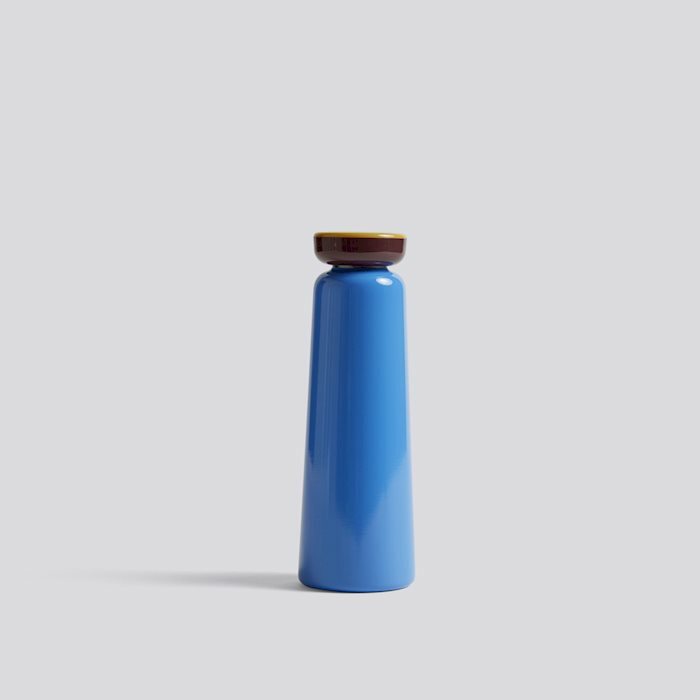 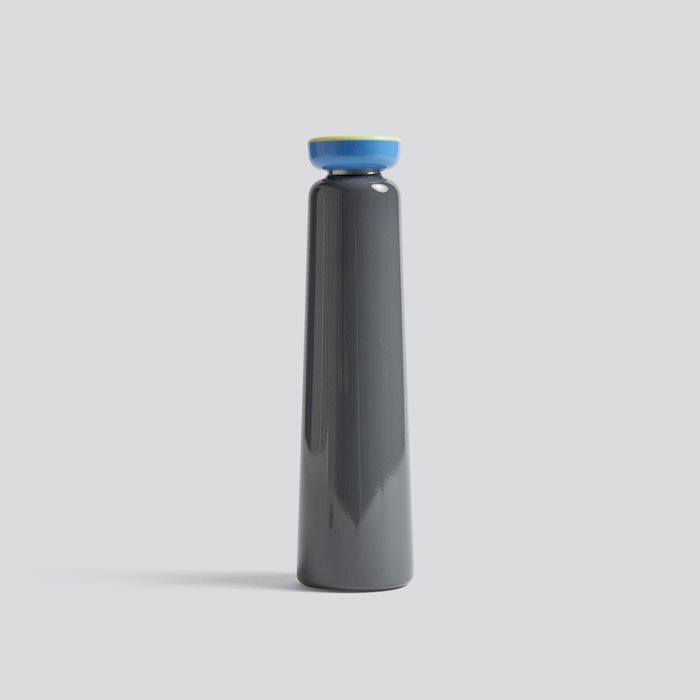 Contrasting colours make for a playful expression with George Sowden’s bottle series. 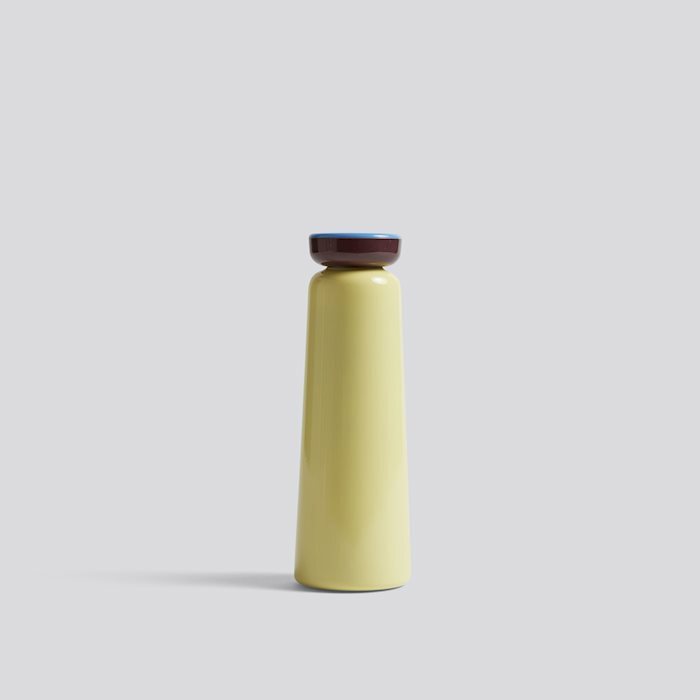 Crafted in stainless steel with a plastic screw lid, the functional design is suitable for containing hot and cold drinks. Available in different sizes and colours.